Red Coat Farm is proud to introduce Gold Run Show Jumpers, its elite show team. 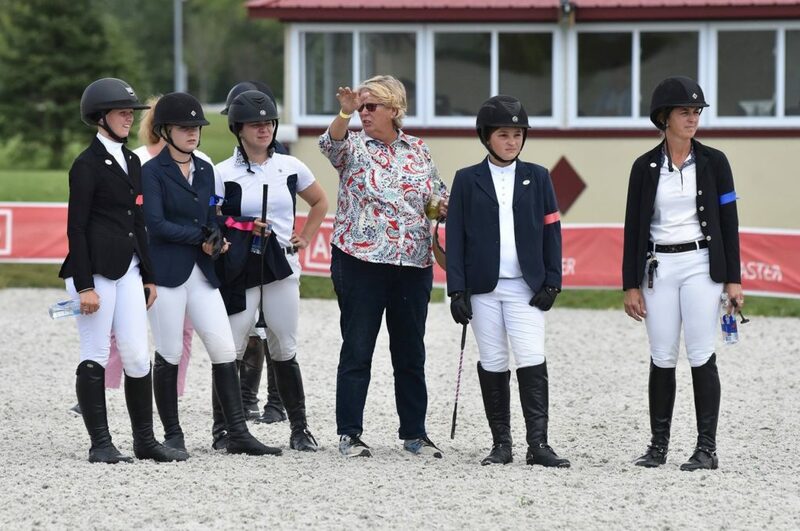 The show team competes at national and international competitions. We offer training for horses and riders of all levels, and are equipped to handle all of your showing goals. We are a Hunter-Jumper riding facility that offers training for all riding levels from beginning rider lessons to national level A show hunter, jumper, and equitation training. Whether you are new to riding or competing in local shows, we offer lessons for all levels. Enrolling in our riding academy allows the new to intermediate rider to learn in a safe and fun environment. We are conveniently located on Gilmer Road west of Route 83 and east of Midlothian Road, in Hawthorn Woods, IL. We have two indoor arenas (65' x 155' and 75' x 200'), a large outdoor arena (100' x 300'), fifteen turn-out paddocks and pastures, two heated viewing rooms with amenities, a heated main boarding barn containing sixty-six stalls, and heated shower stalls. Red Coat Farm is also home to Gold Run Show Jumpers and Red Coat Riding Academy.